Welcome to the Panorama Wellness & Sports Institute!! The Institute is owned and operated by Panorama Orthopedics & Spine Center along with NBA All-Star - Chauncey Billups, former Bronco's wide receiver - Brandon Stokely, former Bronco's captain and Miami Dolphin's coach - Chris Kuper and the former Denver Nuggets head Strength and Conditioning coach - Steve Hess. Together with an elite team of athletic trainers and coaches, we aim to provide you with the best fitness, performance and basketball programs in the area. The Institute is a world class performance facility that provides people from all walks of life every tool necessary to optimize their performance in the athletic arena or during their daily life. From helping elite athletes prepare for the professional level to conducting the return to activity program following a major injury, our Performance Specialists have the knowledge and passion to coach and motivate you to achieve your goal. Our training staff sets us apart - every one of our Performance Specialists has a degree in Sport and Exercise Science, Kinesiology, or Sports Physiology as well as holds the prestigious Certified Strength and Conditioning Specialist (CSCS) certification through the National Strength and Conditioning Association. Through our comprehensive approach to training we address your specific nutritional needs, performance goals, injury history, and post workout recovery demand. From the equipment we have chosen, to the layout of the gym, everything about this facility is results driven! The Panorama Wellness and Sports Institute is proud to introduce its new state-of-the-art motion capture and analytics system, DARI. This system was created to capture the most precise individual motion data in less than 10 minutes; this data has endless applications in training, injury rehabilitation, and injury prevention. SPORTS SCIENCE IS NO LONGER RESERVED FOR PROFESSIONAL ATHLETES! DARI scans are available for $99 at the Panorama Wellness & Sports Institute. If you are interested in getting a DARI scan, please call (720-410-8855) to schedule an appointment! At the Institute we offer a wide range of group training classes and individual coaching for all ages and abilities in our weight room, on our turf field or in our full-court basketball court. The Performance Profile is a Fingerprint to your physiology! This fingerprint is the most comprehensive and unique tool to best understand how your body works and how we can help you make it work and feel better. The Performance Profile serves as a snapshot that shows us how we can help you improve athletic performance, lose weight, or just feel better in your daily life. The Institute's ability to obtain and assess this objective data allows us to be precise in our recommendations to best determine the most appropriate plan of action for you. From that data, along with an assessment of your nutrition habits and mind fitness, we can help you achieve your wellness and fitness goals. The Performance Profile includes 25 individually calculated data points and takes only about 30 minutes with safe, non-invasive testing techniques. NOW - Colorado Soccer Association is now utilizing the Institute's Performance Profile testing. 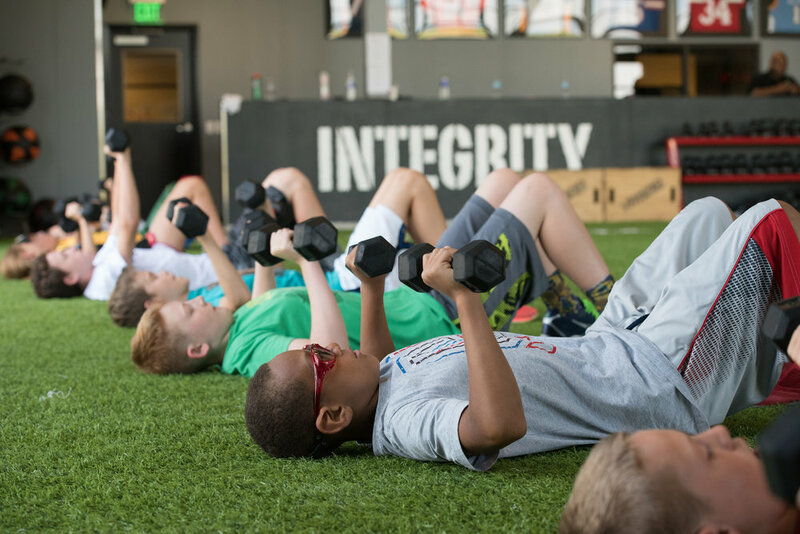 Through a partnership with the Colorado Soccer Association, the Institute adds a new dimension to each young athlete’s performance and health, with a unique profile, objectively calculated by a series of musculoskeletal and muscle health measurements. The Institute’s innovative Performance Profile, provides a fingerprint to their unique physiology. After evaluation, each athlete is routed through the facilities’ integrated Orthopedic, PRO-Formance, and Sports Performance programs giving athletes an edge in their training and injury prevention. The program aims to maximize the full potential of every athlete that comes through The Institute. Through Performance Profile testing, athletes are analyzed and placed into one of three integrated groups. Overseen by Panorama’s orthopedic specialists - physical therapists, certified PRO-Formance trainers, and sports performance trainers all work together to provide the ultimate continuity of care and sport-specific training. In the spring of 2017, the Institute hosted the Shift Combine & Showcase. High School Football players from around the state came to participate in this program for 8th - 11th graders. Sean White, head football coach at the Institute helped to deliver a combine full of fun and learning. Shift was a two-day combine and showcase to feature the region’s top athletes. Former Division I football players along with current and former NFL players worked in a group setting on fundamentals and techniques. Prospects got the opportunity to see how they stacked up against their peers in various speed, strength, agility, and football skills drills. Get Ready - We'll host the Shift Combine again in 2018!